As well as the many blogs that I write, and the various Twitter feeds such as my main @GeoBlogs feed, I also share work and ideas from the Geography department where I teach. 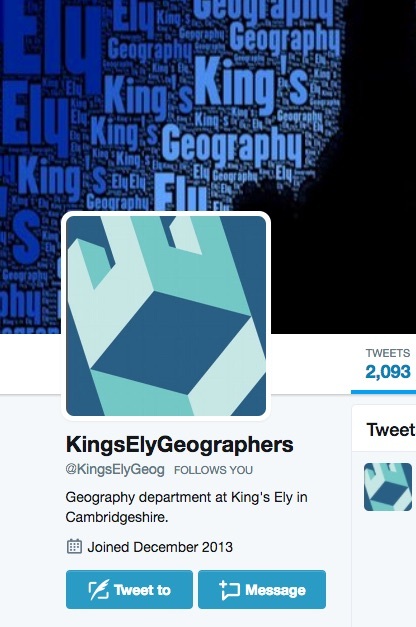 Feel free to follow the @KingsElyGeog feed. I updated the profile this week so that it is more in line with other Twitter feeds from the school.